This comfortable jacket with side slits, is knitted in one piece with shoulder seams - pockets are optional. 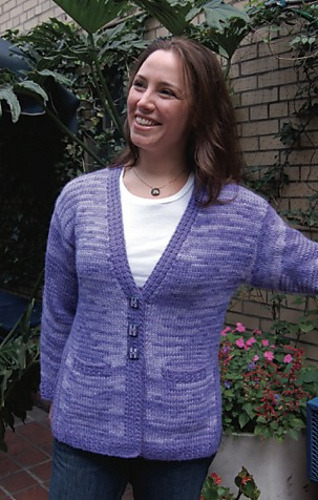 It may be worked in multi yarn with solid trim, as shown, or in one color. Sleeves are worked in rounds from shoulder to cuff. 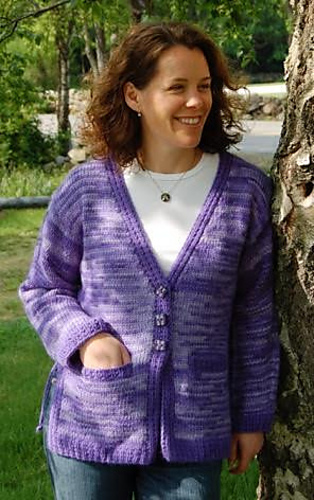 This is an easy project to make without pockets, with pockets the skill level is intermediate.